Congratulations and thank-you so much for enquiring with me. I am so glad you’re giving me the opportunity to make your bridal makeup dreams come true. I have a Diploma in Beauty Therapy and I studied at Elly Lukas Beauty College. I have worked in salons, day spas, and also had my own salon for 6 years, so I have a broad range of experience with different skin types and facial structures. Makeup is my passion and so are weddings. It is my job to make you FEEL and LOOK absolutely amazing on your wedding day, whether that is just enhancing your natural features or completely glamming you up! 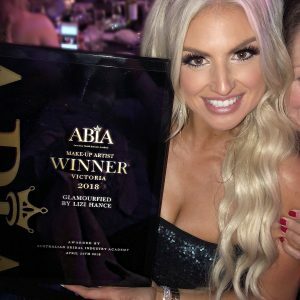 You can read reviews from other brides who have had me as their makeup artist on their wedding day at abia.com.au.